I take after my mum, I have major oily skin! So as you can imagine, finding a foundation that sticks feels like an almighty quest. 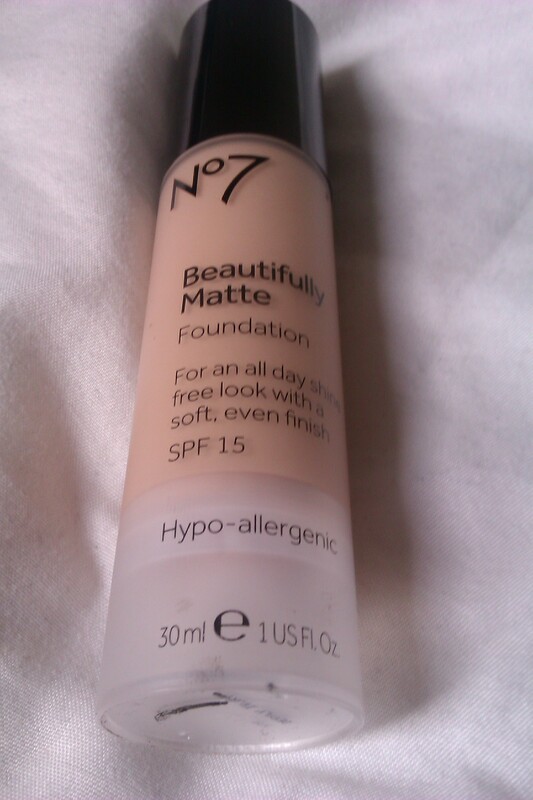 I collect make up and have hundreds of products, but I always wanted to try the No7 Beautifully Matte foundation! So, I got my skin colour tested in a Boots store and it turns out I am “Deeply Ivory”. They test your skin colour for this product to help you find the perfect colour match so that you don’t turn out the dreaded orangey, pink colour when you buy the wrong shaded foundation. It’s happened to all of us… Anyways, as you can see I have a lot of redness on my skin, this is because I have Acne, something that has been with me since I turned 16. Grossed out yet? I am, ew. The bottle that contains the foundation is really useful, actually. It is a pump action foundation, meaning you only use what you need, with no spillages! To apply the foundation I pressed 2 pumps out onto the back of my hand, and then used my Real Techniques Expert Face Brush to start buffing it into my skin. 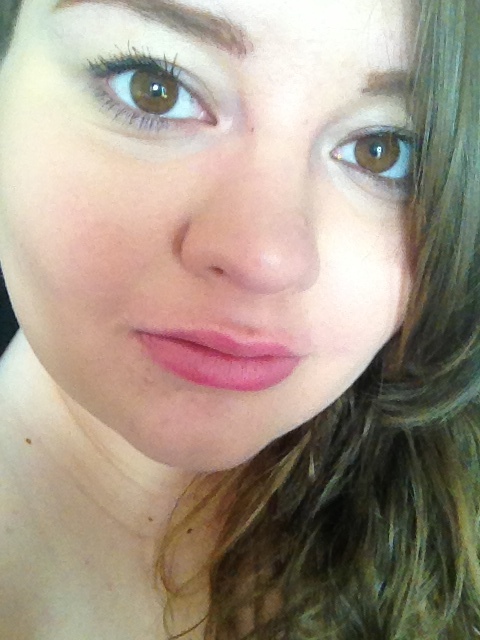 The first thing that struck me was that the formula was so easy to work with, and blended into my skin really well. It seemed to have a medium to full coverage which is fantastic for spot prone people like me! I was skeptical at first, as basically no foundations I’ve used stay on my skin for more than 4 hours, but I was walking around with Beautifully Matte on for over 6, with barely any flaws! It really did stay on my skin, and blurred out any shine from the oils on my face! Another pro about this foundation is that it contains SPF15, which helps protect the skin from damaging sun rays, so it’s a bit of a multi-tasker! 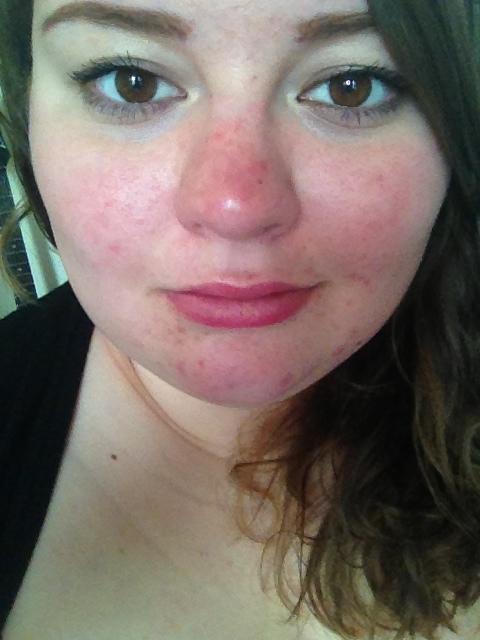 This photo was taken 6 hours AFTER applying the foundation, and as you can see, redness has been covered, and spots have been concealed! To anyone with super oily skin, redness and acne, this foundation really works wonders! Use a clear setting powder over the top if you want it to last even longer, but it is fine on it’s own! To me, it is totally worth the £12.95 it cost me! < Famous Journalist Lynn Barber plays interviewee, for once.